Stepping into Eng Wah Suntec, little was made known of the presence of 5 individuals who were responsible for the making of a box-office hit across the causeway. No red carpets, no paparazzi – just roaring laughter of students clad in school uniforms. The main cast and crew of Santau (Whispers of the Devil) drove all the way from Kuala Lumpur to attend the premiere and media conference held at Eng Wah Suntec last Monday evening. Neither of them showed any signs of fatigue, or restlessness. In fact, they looked more than ready to answer queries by the young journalists of Obor from Berita Harian. Zul Handy Black, who plays the character of Man, even sang for the young crowd upon finding out his past musical career. Meeting the cast – Esma Daniel (Halim), Putri Mardiana (Nina) and Zul (Man) – was a fruitful experience for me. Though I may not be an avid follower of Malaysian drama serials, I could recognize their faces having seen them on television. Esma, widely known as a television actor rather than a film actor, appeared to be a little bit nervous despite his attempts in making jokes to break the tension in the audience. Putri, who prefers to be called Nina (her nickname, not the character in Santau), was more relaxed and calm. Esma Daniel looking all excited. 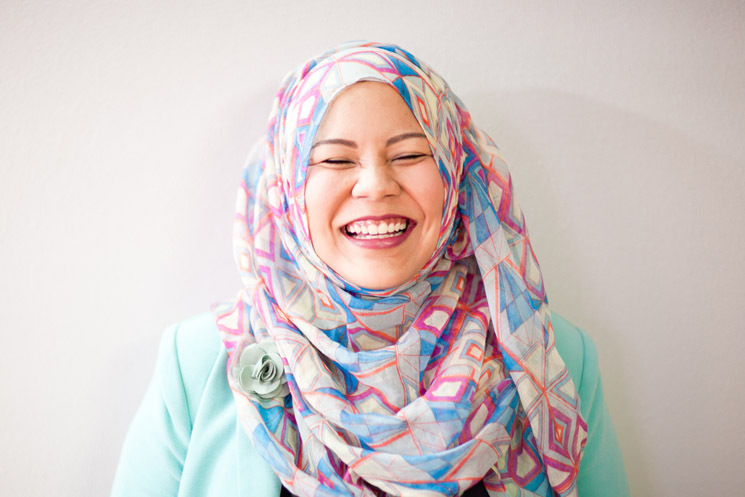 I must admit, I was a bit skeptical of Santau, after bad experiences with Jangan Pandang Belakang, Congkak, Jangan Tegur and Jangan Pandang Belakang Congkak – all by the Metrowealth International Group (MIG). I thought it was going to be “just another Malay horror flick”. That was when producer David Teo begs to differ. 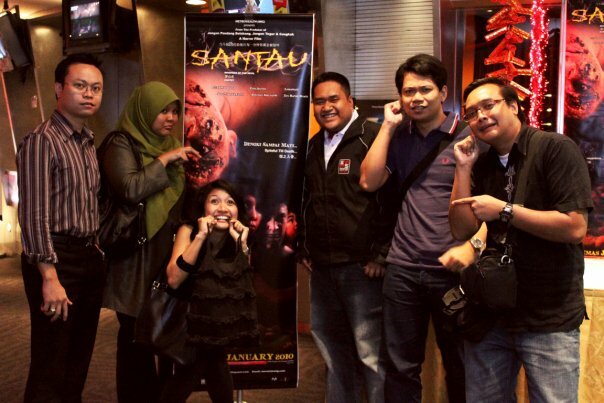 “Santau is not ‘just another horror flick’! By the end of the movie, you will cry. It will make a husband love his wife more and a boyfriend treat his girlfriend better. This film has soul!” – something of which you will be able to find out when you watch the movie for yourself. 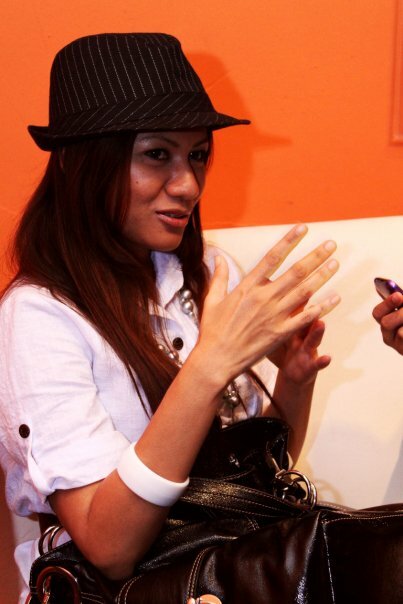 Putri Mardiana looking sleek with her fedora and charming personality. One thing I didn’t look forward to was listening to the stories the cast and crew went through during shooting. The tales of spirits lingering around the location, being hidden in the toilet and Esma being ‘possessed’ in front of the camera – they were all surreal to me. I refused to believe them – just so I could make it home alone without constantly looking behind my back. (Haha get it? Jangan pandang belakang!) Yet, knowing where my ancestral roots are, I have to admit their stories are as real as this blog entry. My grandfather was a medicine man, and he did have his fair share of friends from the other world. I wouldn’t be surprised if what happened to them on set were true. Anyways, the part when Esma was possessed onscreen? Yeah they put it up. I wouldn’t spoil it for you but if one of the scenes look real enough, then that’s the one. Moving on, I was more interested in the director, Azhari Zain, actually. Having been trained in film in an Australian university, he was very fluent in English, to my surprise. However, Zack, as he prefers to be known as, was even more shocked when David Teo approached him to direct Santau. 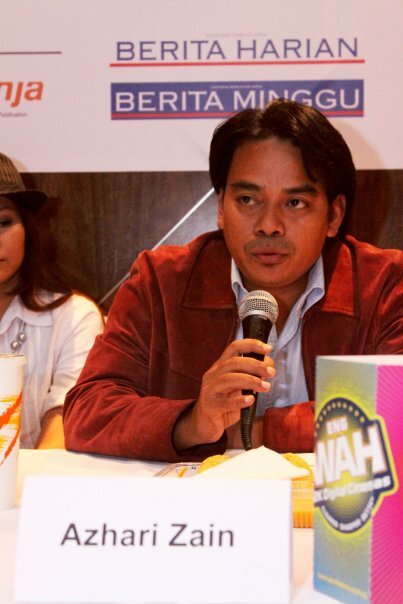 After all, he was one of the newer directors in the Malaysian film scene. I must admit, though, he did carry a weight on his shoulders as the director. Horror flicks from Malaysian are infamous with the whole I-am-possessed-help-me themes. And I was a little bit skeptical before I attended the press conference. Upon hearing his background and his fluency in English, I was a little bit more hopeful.